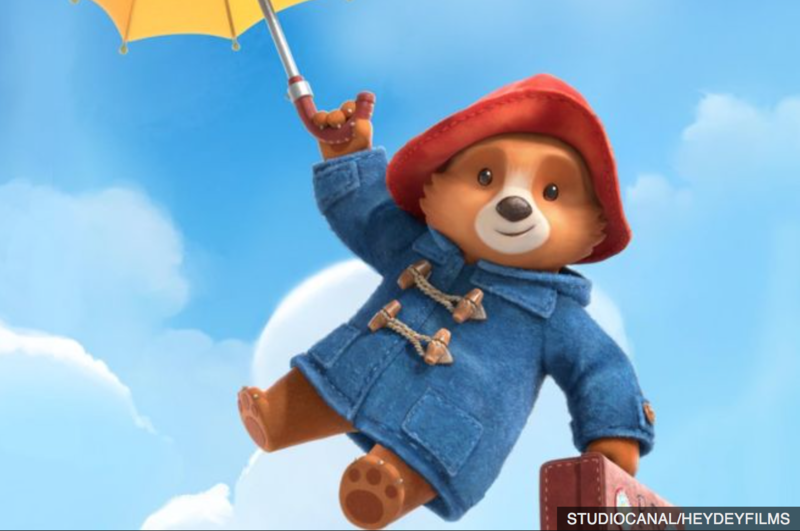 We are totally thrilled to have cast and be producing the voice recording sessions for the new animated TV series Paddington from Studio Canal and Heyday Films. 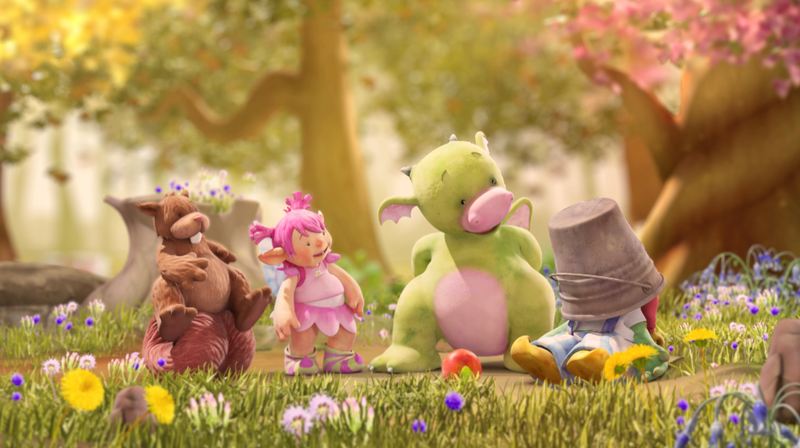 Ben Whishaw returns as the voice of the adoreable bear…….and there are more brilliant actors, in familiar roles, to be announced soon. 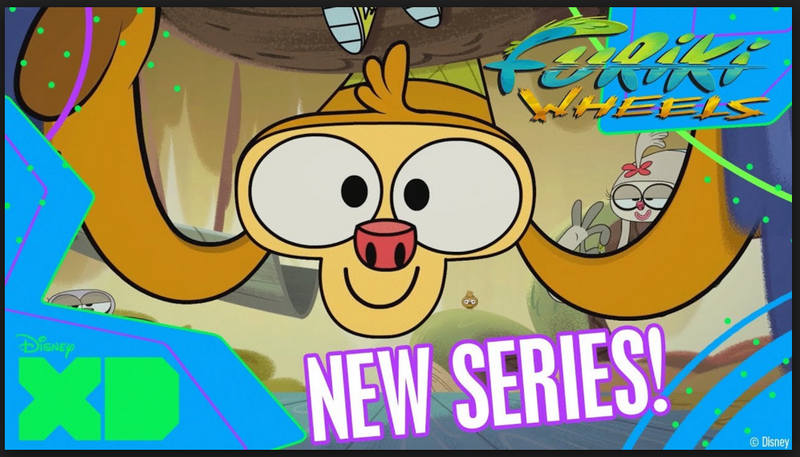 The production team are awesome (Karen Davidsen, Simon Quinn, Rob Silva, Rosie Alison) and the animation by Blue Zoo is absolutely gorgeous. 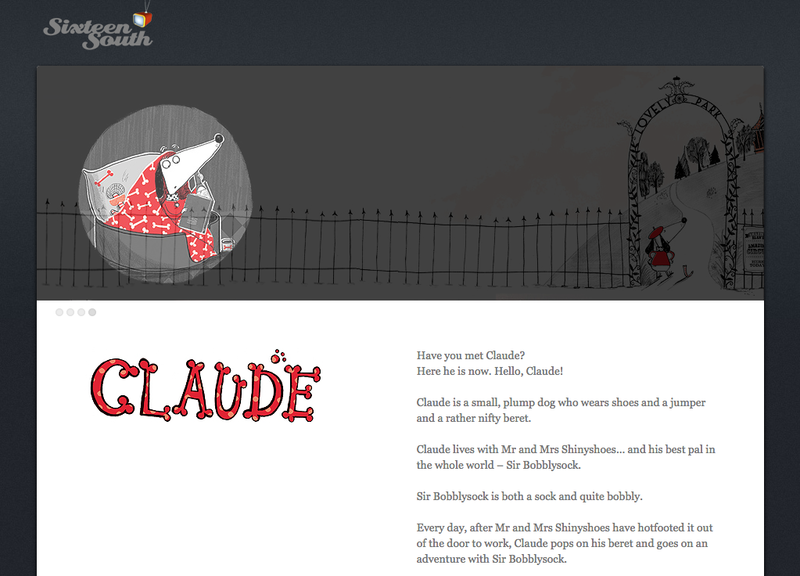 Big thanks to Jen Upton (a brilliant animation script writer) for the introduction. What an absolute joy! For more info please click here and here. 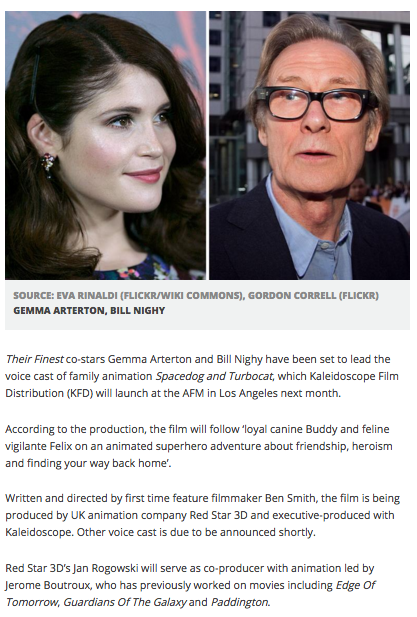 The brilliant Bill Nighy, Gemma Arterton and Luke Evans are announced as star talent in the British animated feature film “StarDog & TurboCat” produced and directed by Ben Smith – Red Star Animation – who are based in sunny Sheffield! Distributed by Kaleidoscope Film Distribution. 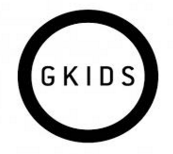 We are delighted to be working with David Freedman again on a new English dub of the wonderful feature from GKids and Studio Canal “The Big Bad Fox and Other Tales”. 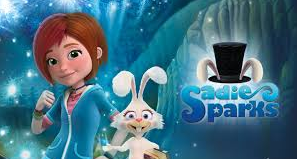 Adapted by David and Lyn Freeman, recorded at Air Edel Studios and mixed at Taborine Productions. A brilliant, BRILLIANT! 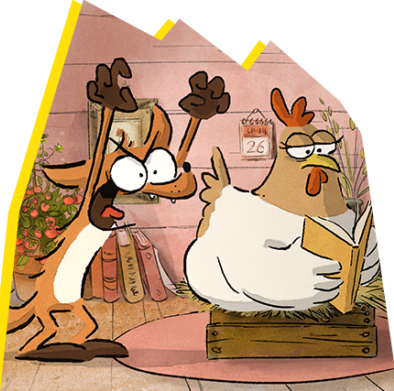 cast……..Bill Bailey as DUCK, Adrian Edmondson as RABBIT, Justin Edwards as PIG, Matthew Goode as WOLF, Celia Imrie as CHICKEN, Giles New as FOX, Phill Jupitus as DOG, Phil Whelans as STORK, Marcel McCalla as FATHER CHRISTMAS. 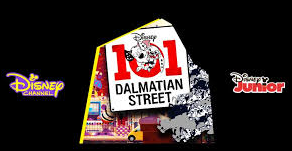 Brilliantly supported by Beth Chalmers, Rasmus Hardiker, Rose Robinson and Bob Golding as various characters and children actors Alex Molony as ALEX, Naniyah Owusu as MICHELE and BABY BULLDOG, Louie O’Brien as PAULINE and Tallulah Conabeare as EVAN. British Olympic diver Tom Daley has teamed up with Cartoon Network to launch the next phase of the CN Buddy Network anti-bullying campaign. ‘I’m a massive, massive fan of Doc McStuffins and for me this is really surreal. I spend most of my time, and most of my day when I’m with my daughter talking about Doc and watching Doc McStuffins. 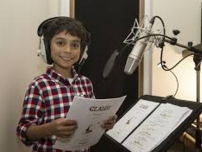 Alesha follows in the footsteps of Doc McStuffins’ previous high-profile celebrity guest stars, including First Lady Michelle Obama and Downtown Abbey stars Joanne Froggatt and Lesley Nicol. We organise casting days with up to 20 actors so you will get the most out of the day and a wealth of brilliant, varied and suitable actors to cast for your characters. We ensure that the studio clearly labels and emails the files for you with a folder of the selects and reads that you like and another will all the takes from the day making your selection process easier. 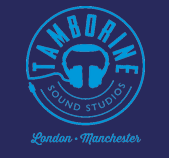 We can help you to choose the right studio for your budget and recording plan (single mic or ensemble record). We work with Soho Square Studios, The Sound Company, Silk Sound, SNK, Tamborine and Clear Cut Sound. We will organise Source Connect / ISDN and Skype links with you so that everyone is linked to the session. We can help you to choose the right voice director for your style of show. 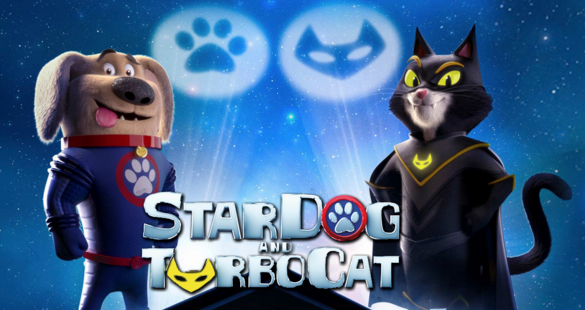 We work with Adam Long, John Schwab, Dave Peacock, David Freedman, Sharon Miller and Matt Delamere – each with expertise in areas such as ADR dubbing, pre-school, directing kids, fast-paced ‘Gumball’ style comedy and dramatic Studio Ghibli features. 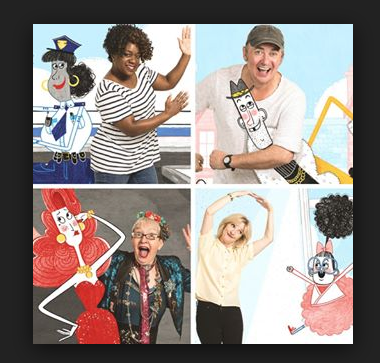 We can set up meetings for you to meet with a selection of voice directors so you can decide which style and expertise works best for your show and who will get the best out of the script and cast to help make your show a success. 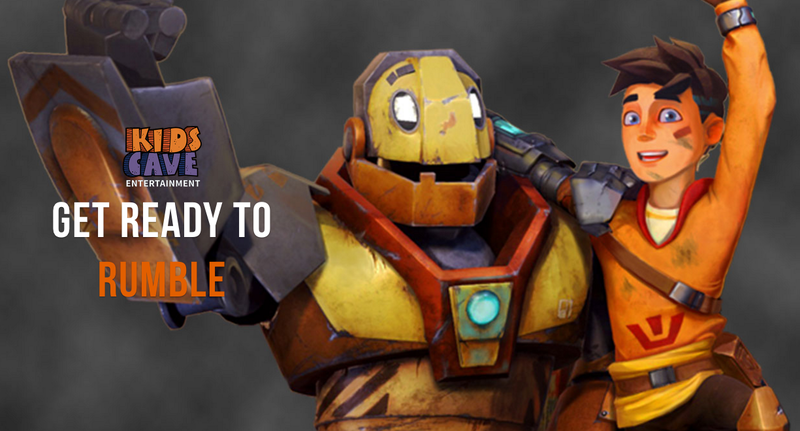 We’ll negotiate the actors’ contracts and pencil them, the studio, engineer and voice director for the sessions. We provide call sheets and ensure that the scripts (and pick-ups) are sent to everyone before the record and ensure that all lines are recorded. We’ll note your preferred selects and alts and email you scanned copies and ensure that the day runs to schedule. The recording files will be clearly labeled and the edit will be delivered to you on time. We’ll even organise the wrap party for you at the end of the project! 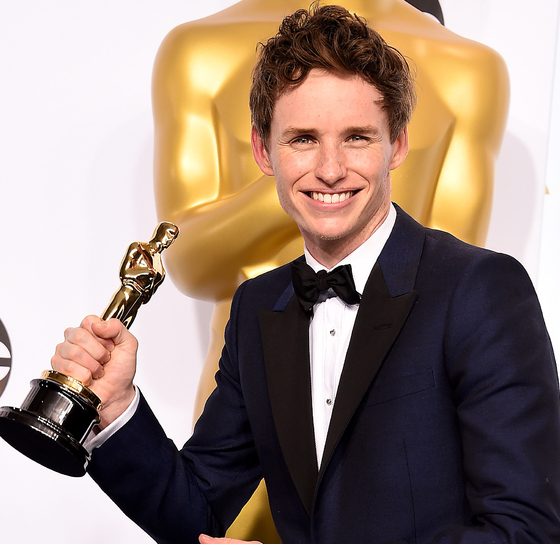 We are chuffed to bits for our friends at HIT Entertainment…….we can finally announce that the brilliant and Oscar-winning Eddie Redmayne will lend his voice to Sodor’s Legend of the Lost Treasure, which is being released to celebrate the 70th anniversary of Thomas & Friends. 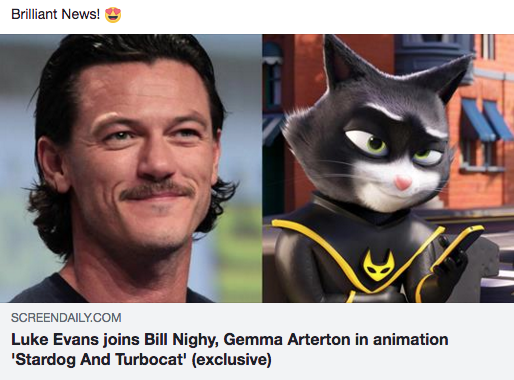 Hurt, who plays Sailor John, added: “I remember watching Thomas the Tank Engine with my children when they were young and I’m delighted that it continues to appeal to each successive generation. Sodor’s Legend of the Lost Treasure will be released on DVD in 2015. 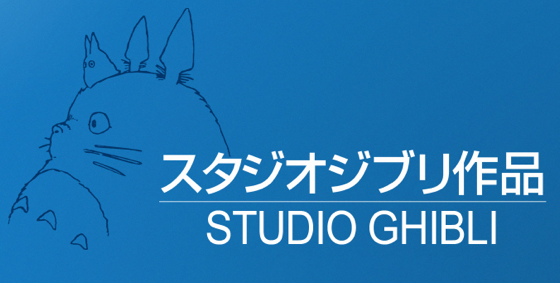 We are delighted and honoured to be working with the totally awesome Dave Freeman , the brilliant Nick Harris and the legendary Studio Ghibli. 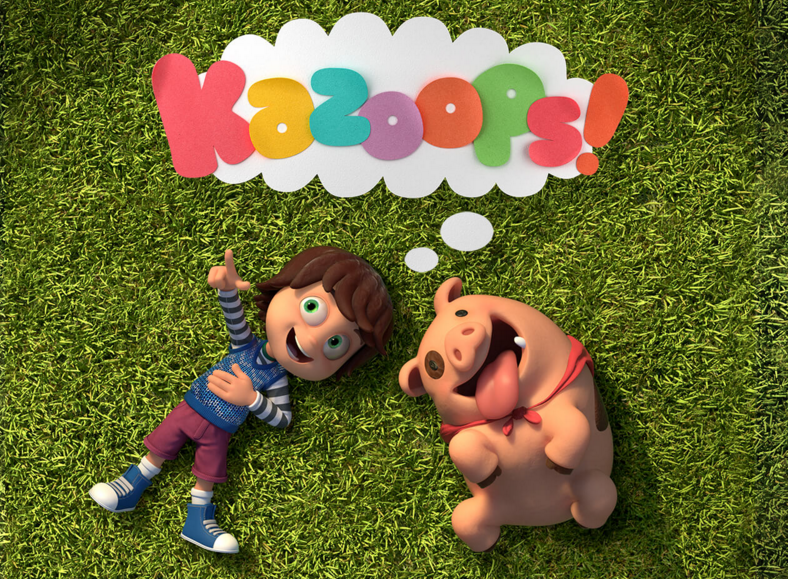 says Michelle Jones, animation casting director – Brilliant Casting. 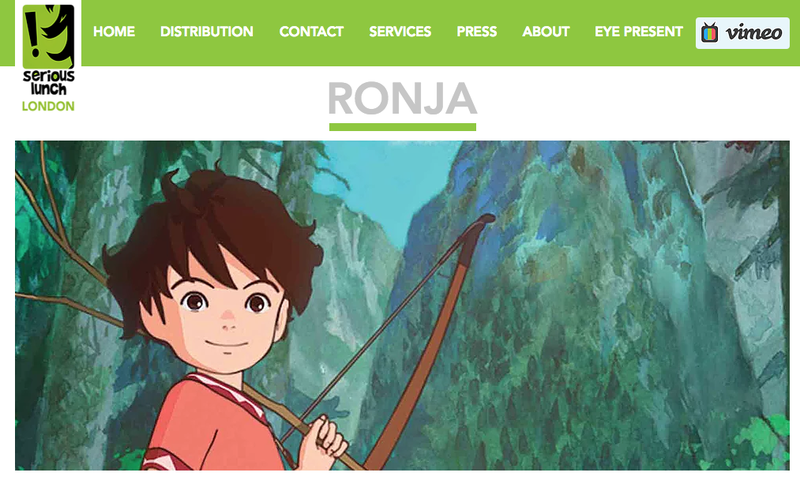 We organised the casting of star talent and experienced ADR character voice actors for this project – to dub three delightful episodes of this original Japanese animated series RONJA, THE ROBBER’S DAUGHTER into English. Sincere thanks to Nick Harris – Tamborine Productions for the introduction to Dave Freedman and Studio Ghibli.